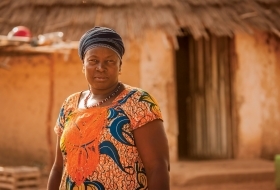 The Budik people of Senegal are finding joy in reading God’s Word in their own language. 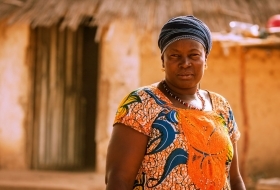 Sunday, this Senegalese people group celebrates the dedication of the New Testament in their language. Next Sunday, the believers will hold a New Testament in their language for the first time. 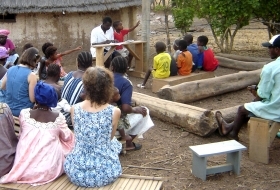 Budik believers are helping ensure that teaching on 1 and 2 Peter is clear. 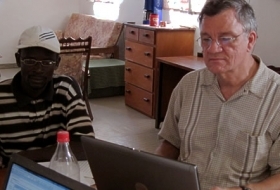 Ken Satorius is visiting Senegal to check and correct Bible translation and teaching materials with Budik believers. “Pray that the time I'll have with the Budik believers, and especially the four men who have been carrying the teaching load during this time, will be profitable and encouraging for me and them,” Ken wrote. Ken Satorius has revised Hebrews and Philemon in the Budik language, and is trying to finish revising James by mid-August. After that, he plans to travel from the USA to Senegal so Budik believers can help him check all three books during a six-week visit. Pray that he is able to complete James on time. This is the time of year when the Budiks work all day every day in their hot, dusty fields. So it’s difficult for the Budik Bible teachers to be prepared for the believers’ meetings, and most of the people who attend are too weary to get much out of it. “Pray … that they would find ways to encourage and be encouraged these days,” write Ken and Kathy Satorius.